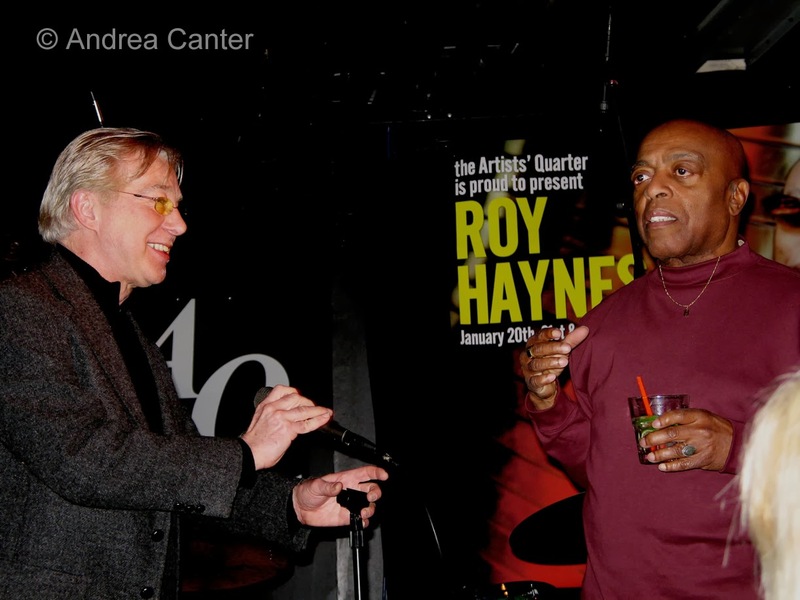 The first time I ever heard drum legend Roy Haynes was at the Artists Quarter, not even sure when. My first photos of Roy at the AQ were from his Fountain of Youth gig in January 2006, but I think I saw him there earlier. 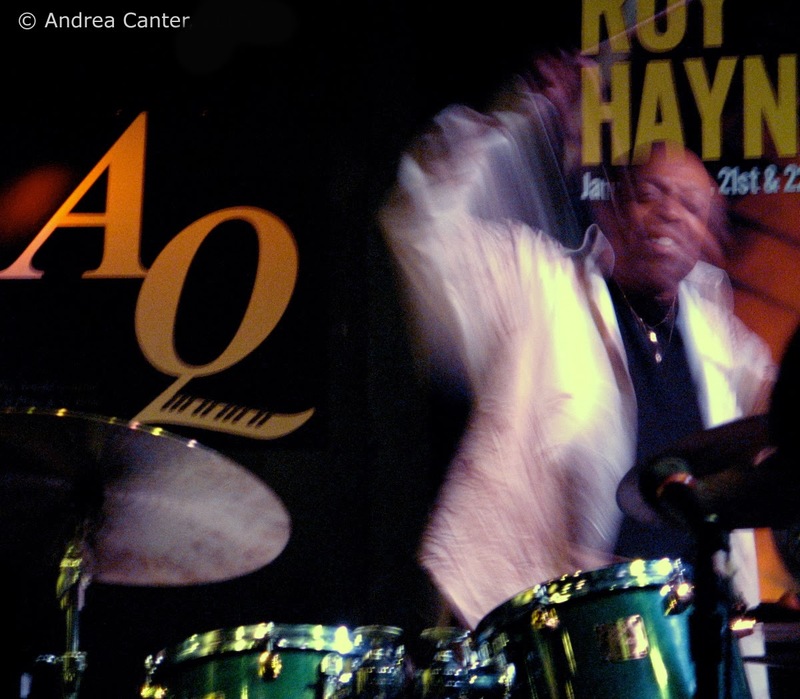 Roy surely ranks as one of the most -- if not the most--internationally revered musicians to play at the AQ. And at 88, he also ranks as the one living legend who has played with the most revered artists in the history of jazz. When Roy sits at the trapset, you can just hear the last 60 years of jazz history sizzle by your ears, from Lester Young and Charlie Parker to Stan Getz and Sarah Vaughn, from John Coltrane, Art Blakey, Miles Davis and Thelonious Monk to Chick Corea, Gary Burton and Pat Metheny. Everybody. Along the way he befriended a "young" drummer named Kenny Horst. He gave Kenny one of his drum sets (I think it's the green kit) and has come out to play at the AQ several times in the past decade, agreeing to a fee low enough for Kenny to keep his vow to never charge more than $25 admission, no matter what or who. At that January 2006 gig, Roy and his Fountain of Youth ensemble (Robert Rodriguez, Jaleel Shaw, John Sullivan) made a live recording, released later in the year as Whereas -- for which he earned a Grammy nomination for his improvised solo, "Hippity Hop." I still remember "Hippity Hop." Roy was 81 at the time. I don't think any of his "Youth" were over 30. He still had a few things to teach them. That was nearly 8 years ago and he's still teaching.